Dr. Caiola received his medical degree from the State University of New York at Buffalo. He then completed his residency at Baystate Medical Center in Massachusetts and a fellowship in Internal Medicine at the Cleveland Clinic Foundation in Ohio. 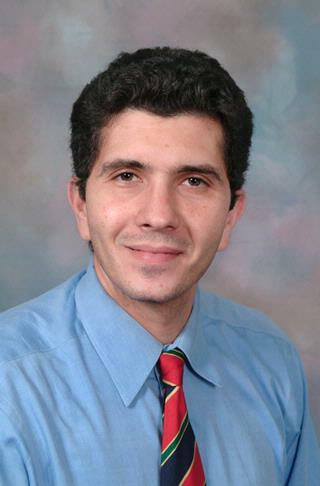 Dr. Caiola is a Assistant Professor of Medicine and Pediatrics at the University of Rochester, School of Medicine. He is board certified in both Internal Medicine and Pediatrics and is a member of American College of Physicians, the American Academy of Pediatrics and the Society of General Internal Medicine. Dr. Caiola works to optimize the health of his patients by forming interactive partnerships for good health. He has a special interest in resident education and mentorship. Outside of work, Dr. Caiola enjoys spending time with his wife and four children. Copeland, HL; Chandler, H; Caiola, E; Helmer, D. "Communicating the Options of Cognitive Behavioral Therapy for Patients Distressed by Medically Unexplained Symptoms". Resident and Staff Physician. 2004; . Deitcher SR, Caiola E, Jaffer A. "Demystifying two common genetic predispositions to venous thrombosis." Cleveland Clinic journal of medicine.. 2000 Nov 0; 67(11):825-6, 829, 833-6. Caiola E. "Heparin-induced thrombocytopenia: how to manage it, how to avoid it." Cleveland Clinic journal of medicine.. 2000 Sep 0; 67(9):621-4.